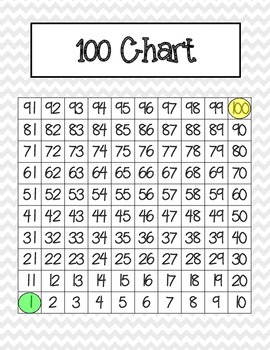 Traditional 100 Charts can be confusing for kids at this critical time in developing number sense. When moving down on a traditional chart, numbers are getting larger, and when moving up, numbers are getting smaller. The Upside Down Chart clears up this confusion - when moving up, numbers are going up. When moving down, numbers are also going down. Colored dots on the 1 and 100 spaces anchor students' thinking. 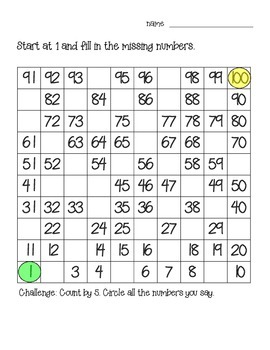 Research shows that math is not linear, so a number chart does not need to be set up top-to-bottom and left-to-right. 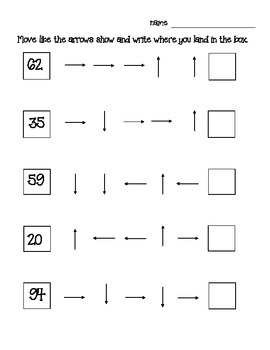 Flexible number sense will help build flexible mathematicians! 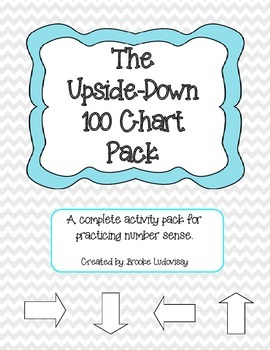 Complete activity pack using the new "Upside Down 100 Chart" takes you from introducing this new tool to independent work. Activities include 3 different levels of difficulty, allowing for differentiation in the classroom. In addition to practice pages, you will find whole class, small group, and partner activities, teacher example pages, and an assessment page to monitor progress towards Common Core State Standards of Number Sense.